- Buyers want to buy your home for as little as possible! Through detailed comparisons between your home and recently sold homes, and other properties currently on the Newark, North Wilmington and Middletown market, together we can determine what your home is really worth in today's market. In the industry this is called a Comparative Market Analysis or CMA. We will do this for you, for free. - More buyers interested in your Delaware, Pennsylvania or Maryland home means more money in your pocket when it is sold. Our extensive marketing of your home assures you of maximum value. 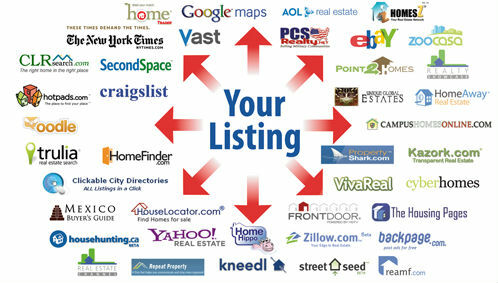 For example, this web site will market your property all across the web. It will appear on Yahoo Real Estate, Microsoft MSN HomeAdvisor, and other top national sites. We can place your home on our web site within a few minutes time! - We will make sure you conform to any and all Delaware, Pennsylvania or Maryland statutory disclosure requirements. We will also inform you of any inspections that you should consider having done ahead of time to smooth the negotiating process with buyers, and to ensure a successful escrow and closing.